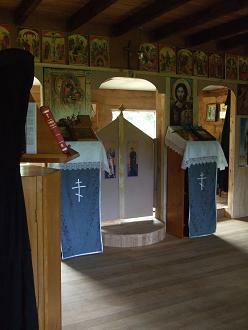 Orthodox Christianity is not some sort of faded and outdated set of traditions. I do not want anything at all from you! I only want to remain a faithful servant of my Saviour! So answered the young girl Marina to the ruler, the persecutor of Christians. He offered her a famous and luxurious life, full of every earthly pleasure. I beseech you, my brethren and friends, as the unworthy handmaiden of the Most High, hearken with understanding to this small exhortation. You know that only one is the true God to be contemplated and worshipped in Father, Son and Holy Spirit. Whoever believes in this triple unity alone is being saved. Therefore, transcend every creation of the visible and sensible world. Elevate your minds and acknowledge only the Father of lights and His Only-Begotten Son and Word, our Lord Jesus Christ, and the All-Holy Spirit. These three persons are one eternal God, almighty and incomprehensible; and by no other name can one be saved. 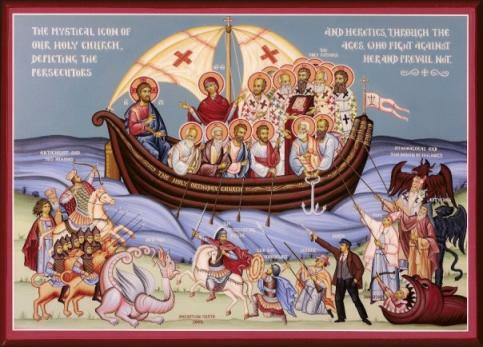 15000 men cried out “We are also Christians”, and were martyred that same day. The women and children who likewise suffered were uncountable. 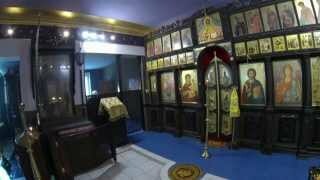 They all received glory from God and today stand before His throne, praying for us, with their leader, the Great-Martyr Marina. 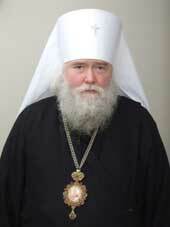 Recently, the Russian Orthodox Church Abroad Synod bank account was hacked. Thank God, there were no substantial sums on the account, however, many donations from our parishioners were blocked and returned to the donors. This is the second time the Synod of Bishops bank account has been hacked. It is obvious that both this attack, as well as the active propaganda against the acquisition of the Synod building property, is carried out in a focused and planned manner. We have filed an appeal with the police in the state of Connecticut. The First Hierarch of ROCA, Metropolitan Agafangel urges all the faithful of the ROCA to not hesitate due to the actions of our enemies, but rather to continue to support the Synod of Bishops, prayerfully and practically. Please watch for new information about our bank details. At present, the previous account continues to work, but only to accumulate funds. When we open a new account, the money will be released and transferred to the newly opened account. Therefore, any donations received to the old account will not be wasted and will not be sent back. What efforts are not being made in order to prevent our Synod of Bishops from existing! It appears we are very disturbing to some. The chief thing in Christianity, according to the clear teaching of the Word of God, is the fire of Divine zeal, zeal for God and His glory — the holy zeal which alone is able to inspire man in labors and struggles pleasing to God, and without which there is no authentic spiritual life and there is not and cannot be any true Christianity. Without this Holy Zeal Christians are “Christians” in name only: they only “have a name that they live,” but in reality “they are dead,” as was said to the holy Seer of Mysteries John (Apoc. 3:1). Hallowed be Thy Name. Thy Kingdom come, Thy will be done, on earth as it is in heaven. Those who are zealous for God’s glory themselves glorify God with their whole heart — both in thought and feeling, both by words and deeds and with their whole life — and naturally desire that all other people should glorify God also in the same way, and therefore they cannot, of course, endure with indifference when in their presence, in some way or other, the name of God is blasphemed or holy things are mocked. 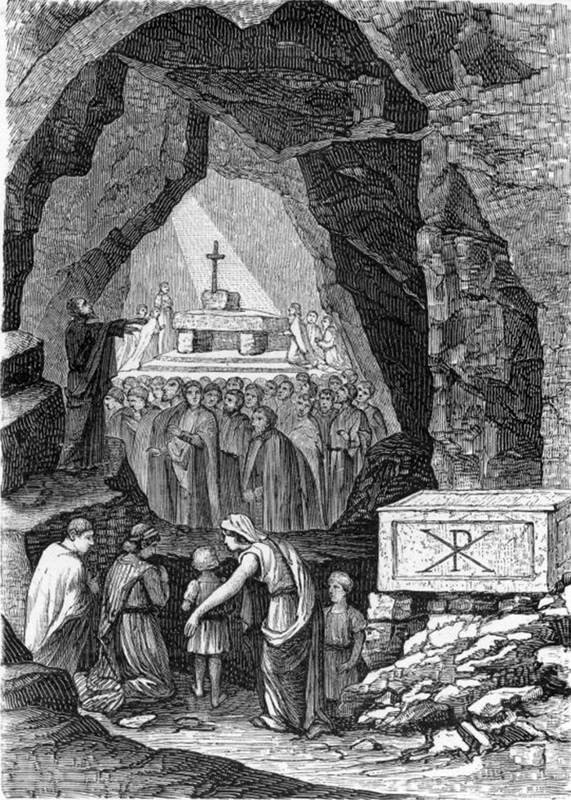 Being zealous for God, they sincerely strive to please God themselves and serve Him alone with all the power of their being, and they are ready to forget themselves all the way to sacrificing their very life in order to bring all men to the pleasing and the service of God. They cannot calmly listen to blasphemy, and therefore they cannot support communion with and have friendship with blasphemers and mockers of the Name of God and despisers of holy things. A striking and extremely clear example of such fiery zeal for God’s glory comes to us from the depths of antiquity of the Old Testament in a great Prophet of God, the flaming Elias, who grieved in soul when he saw the apostasy from God of his people, led by the impious King Ahab, who introduced into Israel the pagan worship of Baal in place of the true God.“I have been very jealous for the Lord God Almighty — thus did he exclaim many times, expressing his grief — because the children of Israel have forsaken Thee: they have dug down Thine altars, and have slain Thy prophets with the sword, and I only am left, and they seek my life to take it” (3 Kings 19:10). And behold, this Holy Zeal aroused him, by the power of the grace of God which reposed on him, as a chastisement of Israel which had apostatized from God, to “close heaven” (3 Kings 17:1; 18:42-45. James 5:17-18), so that there was neither rain nor dew for three years and six months. This same zeal later aroused Elias to slay the false prophets and priests of Baal, after the miraculous descent of the fire from heaven on Mt. Carmel, so that these deceivers might no longer turn the sons of Israel away from the true worship of God (3 Kings 18:40). By the power of the same Divine zeal, St. Elias brought down fire from heaven, which burned the captains and their fifties which had been sent by the king to size him (4 Kings 1:9-14). That all this was in reality Holy Zeal which was pleasing to God is testified to by the fact that the Holy Prophet Elias did not die the usual death of all men, but was miraculously raised up to heaven in a chariot of fire, as if signifying his authentically fiery zeal for God (4 Kings 2:10-12). “in the great and strong wind rending the mountains and crushing the rocks, and not in the earthquake, and in the fire, but in the voice of a gentle breeze” (3 Kings 19:11-12). “Ye know not of what spirit ye are, for the Son of Man came not to destroy the souls of men, but to save” (Luke 9:51-56). found it sometimes necessary to manifest great strictness and have recourse to severe measures, teaching us also by this very fact, that meekness and humility do not mean spinelessness and should not yield before manifest evil, and that a true Christian should be far from sugar-sweet sentimentality and should not step away in the face of evil which presumptuously raises its head, but should always be uncompromising towards evil, fighting with it by all measures and means available to him, in order decisively to cut off the spread and strengthening of evil among men. and threatening them with God’s judgment (Matt. 23:29). “When He had made as it were a scourge of little cords, He drove them all out of the Temple, the sheep also and the oxen, and the money of the changers He poured out, and the tables He overthrew” (John 2:14-15; Matt. 21:12-13). And we know many other examples from sacred and Church history when mere words of persuasion turned out to be insufficient and in order to cut off evil it was necessary to have recourse to more severe measures and decisive acts. But it is essential that in such cases there should rally be in a person only pure and Holy Zeal for God’s glory, without any admixture of self-love or any other strivings of human passions which only hide themselves behind a supposedly Holy Zeal for God! 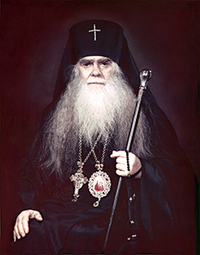 In the history of the Church, the great Hierarch of Christ Nicholas the Wonderworker, Archbishop of Myra in Lycia, whose memory we celebrate on December 6th according to our Orthodox calendar, has become glorious by just such an authentically Holy Zeal, with a decisive irreconcilability towards evil. Who does not know this wondrous Hierarch of Christ? The most characteristic feature of St. Nicholas, which has given him such glory, is his extraordinary Christian mercy: the simple Russian people usually calls him “Nicholas the Merciful,” a title based on the facts of his life and the numberless cased of his help to men. But once this great Hierarch, so glorious for his mercy toward his neighbor, performed an act which disturbed many and continues to disturb them even now, even though its authenticity is witnessed by the Church tradition contained in our iconography and Divine services. According to tradition, St. Nicholas took part in the First Ecumenical Council in Nicaea, which brought forth a condemnation of the heretic Arius, who denied the Divinity of the Second Person of the Holy Trinity, the Son of God. During the disputes which occurred in connection with this, St. Nicholas could not listen with indifference to the blasphemous speeches of the arrogant heretic Arius, possessed by pride, who demeaned the Divine dignity of the Son of God, and before the whole Council he struck him in the face with his hand. This evoked such a general consternation that the Fathers of the Council decreed that the bold Hierarch be deprived of Hierarchal rank. But in that very night they were made to understand by a wondrous vision: they saw how the Lord Jesus Christ gave St. Nicholas His Holy Gospel, and the Most Pure Mother of God placed upon his shoulders the episcopal omophorion. And then they understood that St. Nicholas was guided in his act not by any evil, passionately sinful motives, but solely by pure, Holy Zeal for God’s glory. And they forgave the Hierarch, abrogating their sentence against him. By citing such a picturesque example, we do not in the least wish to say that every one of us can or should follow this example literally: for this one must be himself just as great a holy Hierarch as St. Nicholas. But this should absolutely convince us that we do not dare to remain indifferent or be unconcerned about the manifestations of evil in the world, especially when the matter is one of God’s glory of our Holy Faith and Church. Here we must show ourselves to be completely uncompromising, and we do not dare enter into any sort of cunning compromises or any reconciliation, even purely outward, or into any kind whatever of agreement with evil. To our personal enemies, according to Christ’s commandment, we must forgive everything, but with the enemies of God we cannot have peace! 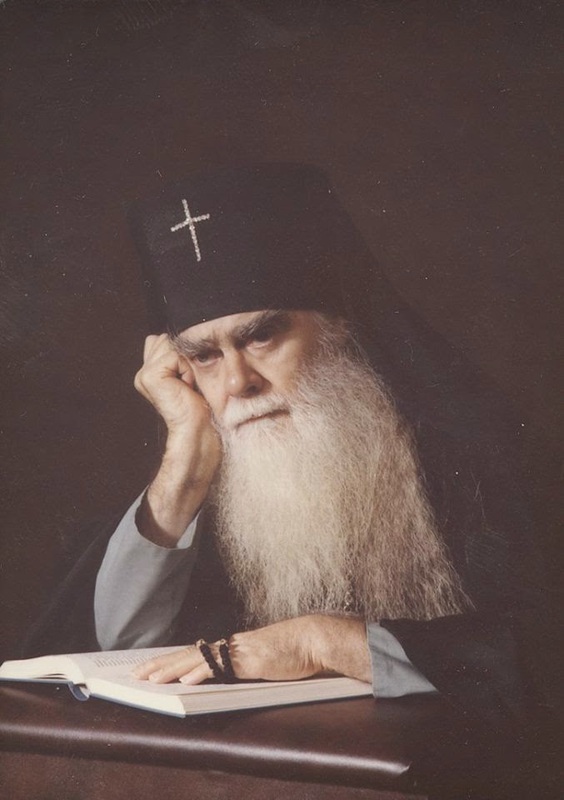 Friendship with the enemies of God makes us ourselves the enemies of God: this is a betrayal and treason towards God, under whatever well-seeming pretexts it might be done, and here no kind of cunning or skillful self-justification can help us! It is interesting to note how displeasing this act of St. Nicholas is to all the contemporary consenters to evil, these propagandists of a false “Christian love” which is prepared to be reconciled not only with heretics, persecutors of the Faith and the Church, but even with the devil himself, in the name of “universal love” and “the union of all” — slogans which have become so fashionable in our days. For the sake of this, these consenters strive even to refute the very fact of the participation of St. Nicholas in the First Ecumenical Council, even though this fact is accepted by our Holy Church and therefore must be respected by all of us as reliable. All of this happens, of course, because among contemporary people, even those who call themselves “Christians,” there is no longer an authentic Holy Zeal for God and His glory, there is no zeal for Christ our Saviour, zeal for the Holy Church and for every holy thing of God. In place of this there prevails a luke-warm indifference, an indifferent attitude to everything except one’s own earthly well-being, with a forgetfulness of the just judgment of God which unfailingly awaits all of us, and of the eternity which will be revealed after death. But at the same time one should no forget that, besides true Holy Zeal, there is also a zeal without understanding — zeal which loses its value because of the absence in it of a most important Christian virtue: discernment, and therefore, in place of profit can bring harm. often hide themselves behind some kind of supposed idealism but in reality pursue only their own personal aims, striving to please not God but their own self-concern, and being zealous not for God’s glory but for their own glory and the glory of the colleagues and partisans of their party. All of this, it goes without saying, is profoundly foreign to true Holy Zeal, hostile to it, is sinful and criminal, for it only compromises our Holy Faith and Church! And so, the choice is before us: are we with Christ or Antichrist? — thus did even the holy Apostles warn us Christians. And if it was “near” then, in Apostolic times, how much “nearer” has it become now, in our ominous days of manifest apostasy from Christ and persecution against our Holy Faith and Church?! And if we firmly resolve in these fateful days to remain with Christ, not in words only but in deeds as well, it is absolutely indispensable right now, without putting it off, to break off every bond of friendship, every form of communion with the servants of the approaching Antichrist, who has enlisted so many of them in the contemporary world, under lying pretexts of “universal peace” and “prosperity”; and especially must one free oneself unconditionally from every subservience to them and dependence on them, even if this might be bound up with detriment to our earthly well-being or even with danger for our earthly life itself. Eternity is more important than our brief existence on earth, and it is precisely for it that we must prepare ourselves! And therefore, ONLY Holy Zeal FOR GOD, FOR CHRIST, without any admixture of any kind of slyness or ambiguous cunning POLITICS, must guide us in all deeds and actions. “Because thou art neither hot nor cold, I will vomit thee out of My mouth” (Apoc. 3:16). Forty years ago, a single day saw the collapse of the greatness and glory of the Russian State, a bulwark of peace throughout the whole world. The signature of the Sovereign, the Emperor Nicholas II – on the act of abdication from the Throne, set a historical boundary separating Russia’s great and glorious past from her present dark and cruel circumstances. The entire weight of the present regime’s evil and its reordering of life is aimed at honest, well-intentioned and devout people, and the whole nation lies in oppression and constant fear. People are afraid of their own thoughts, thoughts they have not expressed aloud; they are afraid, that what they are thinking may be reflected in their facial expressions. What happened that day, forty years ago? Apostasy from God’s Anointed, apostasy from an authority submissive to God, apostasy from the oath of fidelity to the Anointed Sovereign, given before God, and the giving over of him to death. He who had devoted all his strength in God’s name to the service of Russia was first deprived of authority, and then also of freedom. For decades the dark forces of evil carried on a struggle against God’s Anointed, against the ruling authority faithful to God. These same forces also killed the Emperor Alexander II, the Tsar-Liberator. This crime sobered the people, it shook the entire country, and that moral upsurge gave Emperor Alexander III, the Peacemaker, the opportunity to rule Russia with a strong arm. Russia enjoyed two decades of peaceful life and development. Then a new conspiracy arose for the overthrow of the Royal Throne. It was a conspiracy of Russia’s enemies. Within Russia itself there was a struggle against her very essence, and, having destroyed the Throne, Russia’s enemies even obliterated her name. Now the whole world can see the close connection between the Royal authority, faithful to God, and Russia. When the Tsar ceased to be – Russia ceased to be. The struggle against the Tsar and Russia was carried out by concealed godlessness, which later revealed itself openly. Such was the essence of the struggle against the Tsar and Russia, against the foundation of her life and historical development. Such are the meaning and aim of that struggle, which perhaps not everyone realised – those who were its accomplices. Everything filthy, paltry and sinful which could be found in the human soul, was summoned against the Tsar and Russia. All of this, with all its might, rose up in struggle against the Royal Crown, which was crowned by a cross, for Royal service is a bearing of the Cross. People always rise up against the Cross by means of slander and falsehood, doing the devil’s work, for according to the word of the Lord Jesus Christ, When he speaketh a Lie he speaketh of his own: for he is a liar, and the father of it (John 8:44). Everything was roused up against the most meek, pure and abundant-loving Tsar, so that at the terrible hour of the struggle against him he would remain alone. Filthy slander was diseminated beforehand against the Tsar and his family, so that the people would grow cool towards him. Faithless allies took part in the conspiracy. When the Sovereign was in need of moral support, his closest associates did not provide it and violated their oath. Some took part in the conspiracy; others, out of weakness, counselled abdication. 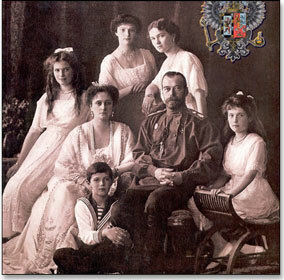 The Tsar remained completely alone, surrounded by “ treachery, baseness and cowardice”. From the day of the abdication, everything began to collapse. It could not have been otherwise. The one who united everything, who stood guard for the Truth, was overthrown. A sin was committed, and now sin had easy access. In vain do some wish to separate February from October, the one was a direct consequence of the other. In those March days, Pskov became the Tsar’s Gethsemane, and Ekaterinburg – his Golgotha. (Many attribute the Russian Revolution to the Bolsheviks who seized power in October 1917. Archbishop John and others point out that the groundwork was prepared for the Revolution much earlier, as evidenced by the lack of support of the Tsar at the time of the February uprisings, which precipitated his forced abdication in March). 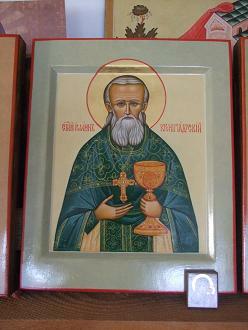 Tsar Nicholas died as a martyr, with unshakable faith and patience, having drunk the cup of suffering to the dregs. The sin against him and against Russia was perpetrated by all who in one way or another acted against him, who did not oppose, or who merely by sympathizing participated in those events which took place forty years ago. That sin lies upon everyone until it is washed away by sincere repentance. In raising up prayers for the repose of his soul, we pray also for Tsars Paul I and Alexander II, who were likewise slain in March. 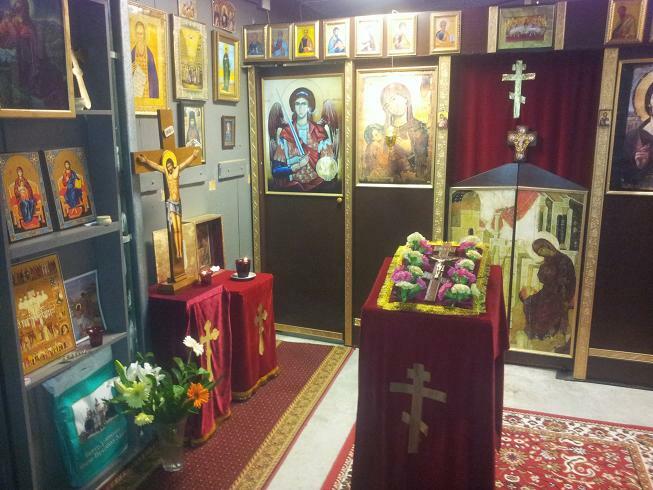 We pray for the forgiveness of the Russian People of the grave sin of betrayal and regicide. Woe to those who call evil, good - and good, evil. Before us, before the Russian people, lies the path of resurgence – which is a path of consciousness of sin and repentance. For the rebirth of Russia, all political and other programs of unifications are in vain: what Russia needs is the moral renewal of the Russian people. We must pray for the forgiveness of our sins and for mercy on our homeland, just as the Lord God freed Israel from the Babylonian captivity and restored the ruined city of Jerusalem.